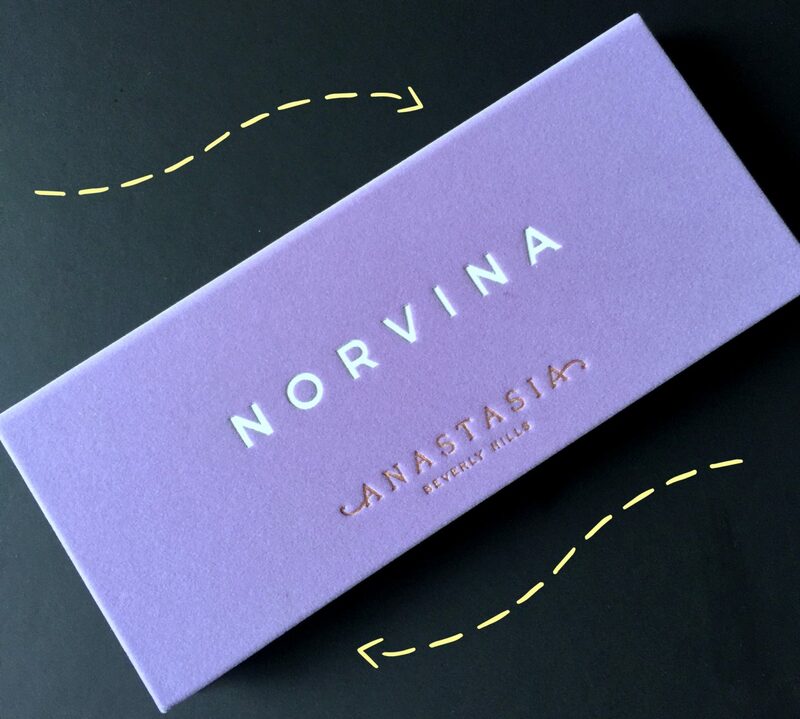 When I saw the very first press pictures of Norvina, I knew I had to make it mine. I haven’t had this kind of Anastasia Beverly Hills palette frenzy since Modern Renaissance. Norvina may look a bit like Huda Beauty’s Desert Rose, but it’s streets ahead in creamy quality. It was initially described as having a top row of metallics/shimmers and a bottom row of mattes. However, Base is slightly shimmery, and both Soul and Love have very fine glitters – but who cares! This is a mighty fine mix of colours and textures. The top row are absolutely heavenly. 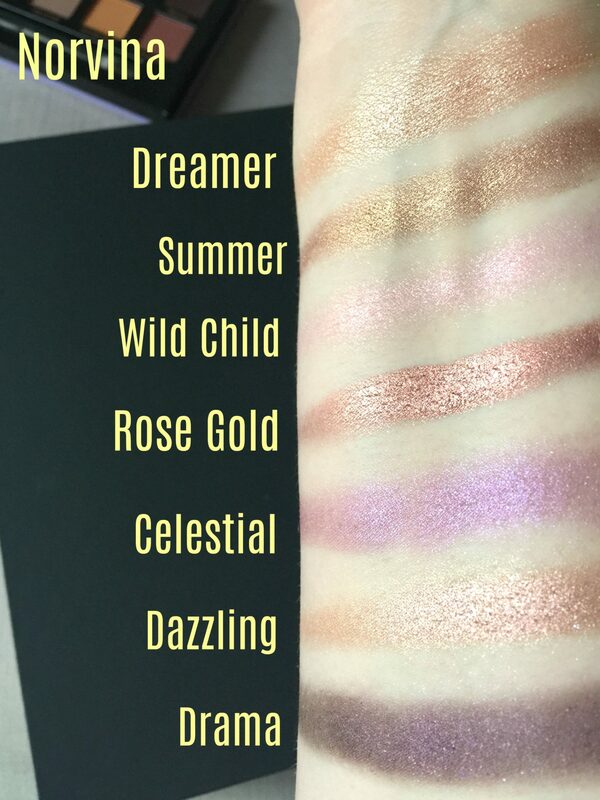 Dreamer is the biggest surprise, I thought it would be another champagne gold, but it has a slight green shift to it that’s really pretty and unusual. I also love the deep purple goodness with gold sparkles that is Drama and can’t wait to wear that in autumn. These shades are all incredibly soft and easy to wear; Celestial and Wild Child are both very pretty and break up the usual spectrum of gold/bronze/copper one tends to get in every palette. Out of the shades on the bottom row I was most excited about Soul, a lilac-blue that I have nothing like in my collection, and it doesn’t disappoint. The glitter particles in both Soul and Love blew away from their swatches so I don’t know how they’ll fair on the eyelids yet, but they’re both very pretty shades with a slight sheen. 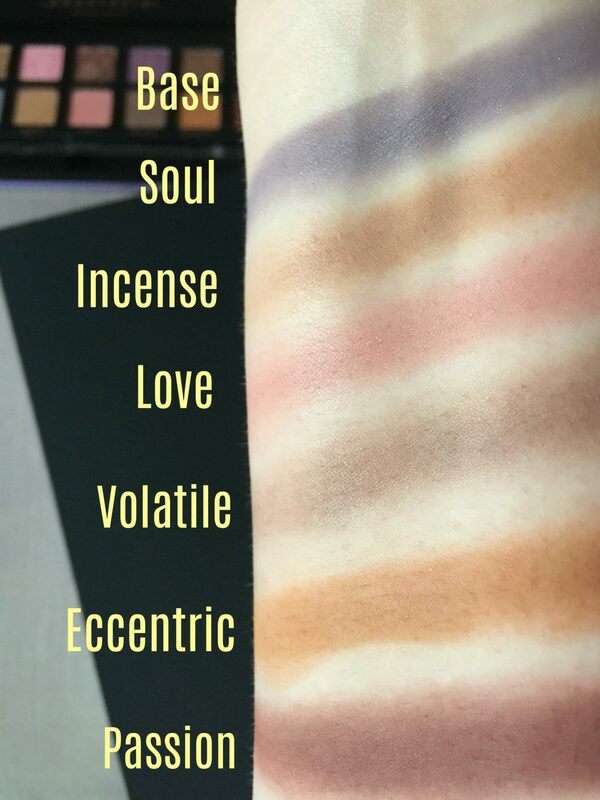 Incense and Eccentric are the browns I live for in everyday looks, and both will be handy for transition shades in smoky eyes. Base hardly shows up on my skin, so it won’t be as helpful as the bone coloured shade (Tempera) in Modern Renaissance that I often use as a base shade. Out of the whole palette the only shadow I’m disappointed in is Volatile, a slightly dry grey-brown that’s boring when it’s sheer, and just a muddy mess when you layer it. I’d had high hopes for that one as it looks great in the pan. Passion is a nice surprise, one of the smoothest mattes I’ve ever tried, a reddish-brown that will be useful in so many looks. I know I’m going to get as much wear out of this baby as I have with Modern Renaissance, and I cannot wait to experiment. 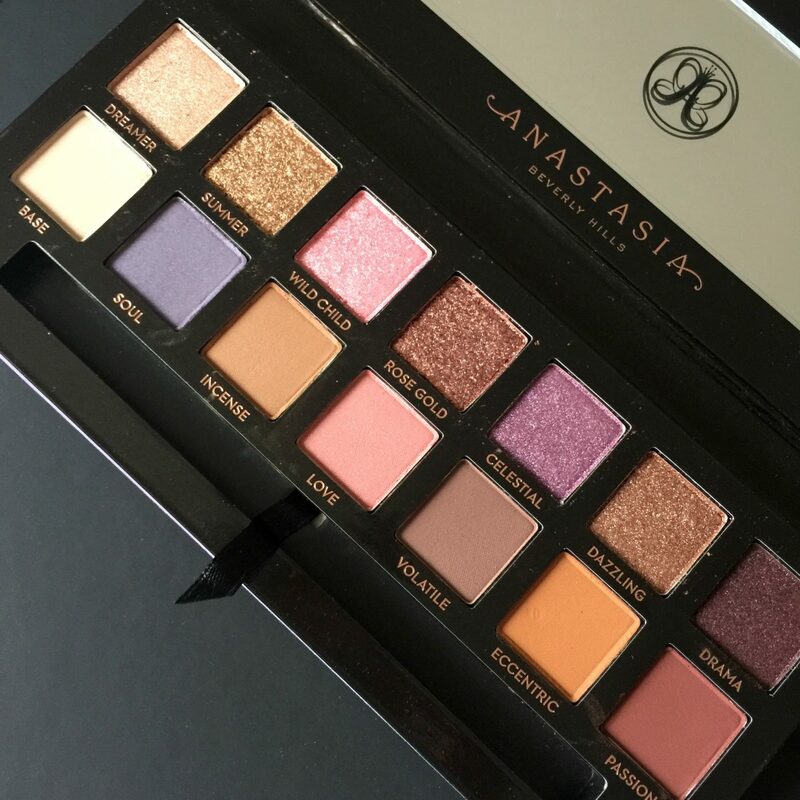 Such a pretty palette, definitely one for ABH fans. Check out my other Anastasia Beverly Hill palette reviews here and here.